Fall Equinox Sun Salutation Celebration. Saturday 9/27/14, 7am-9am. Sun Salutation Celebration 7:00am-9:00am Saturday 9/27 This a really fun event for a great cause! Donations go to the Westerly Education Endowment Fund. Come any time you want during that time frame. Several students will be shooting for108 but you can do as many as you want. We will be providing the beads and bowls as well as instructions to help you keep track. 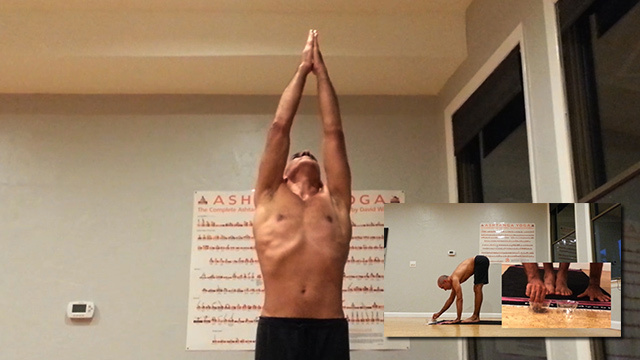 (see video) There will also be assistance for those not familiar with Sun Salutations. Light refreshments on the deck. Tell your friends! It is 11:47:07 AM EDT Wednesday April 24, 2019. Refresh your browser to update.